Sapa- Mu Cang Chai Tour 5 days are specially designed for the travelers who love to explore both wonderful destinations in the northwestern Vietnam: Sapa & Mu Cang Chai with interesting trekking routes. You will have chances to enjoy the best of nature, countryside and majestic stepped rice fields in both destinations. Enjoy trekking routes to visit Sapa’s famous attractions, adventure treks to scenic villages in Mu Cang Chai, get sense of unique local cultures and experience the daily life of local ethnics will be your experiences of life-time when taking part in this 5 day package Sapa- Mu Cang Chai tour. This tour covers the significant highlights of the northern highland. Explore two famous destinations in the northwest of Vietnam: Sapa & Mu Cang Chai in Hoang Lien mountain range. Do some trekking and visit the top roof of Indochina - Fansipan Peak by riding cable car. Ultimate Odyssey's tour guide and driver will pick up you at your hotel in Hanoi at 8.00 AM departing for a fascinating 5 day trip. 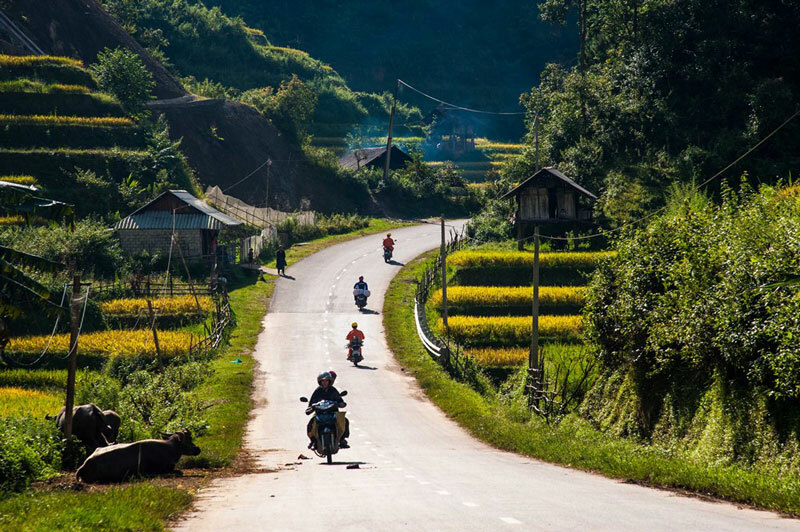 After getting out of bustling Hanoi city, you will enjoy viewing the pleasant countryside scenes along the way to Yen Bai province. Arrive to Nghia Lo town early in the afternoon, you check into a friendly homestay at a peaceful village nearby Nghia Lo town. You then enjoy a home cook lunch and have a short rest. In the afternoon, you enjoy a biking tour discover the beautiful villages of the ethnic minority groups, visiting rice fields. You enjoy the home hosted dinner and overnight at the homestay. After having breakfast, you say farewell to the host, departing to Tu Le town. Tu Le is a small town located at the beautiful valley in the foot of Khau Pha Pass. Here you will enjoy a soft trek visiting to the beautiful rice field and some villages, taking stunning stunning pictures and meeting friendly local people. You then have a lunch at a local restaurant. In the afternoon, you enjoy a drive to the famous Khau Pha Pass. This pass is well-known for picturesque terraced paddies. You then have a few more stops en route for taking stunning pictures on the way to Mu Cang Chai. Arrive in Mu Cang Chai town later in the afternoon. You check into a homestay nearby the town. Have a short rest. 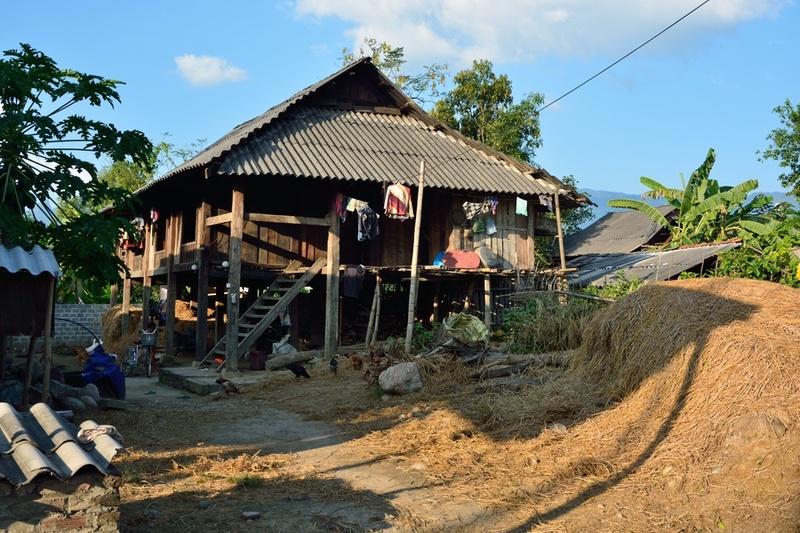 Then you enjoy a walking tour visit the village of Thai ethnic minority at the foot of the nearby mountain. Have dinner and overnight at the homestay. 8:00 Am After having breakfast you check out and traveling to Sapa. Driving out of Mu Cang Chai, you will stop en route to visit the stunning village of Lu people. Have lunch at a local restaurant on the way heading to Sapa. Arrive to Sapa by 5:30 Pm. Check into a boutique hotel in Sapa downtown. There are plenty of the good restaurants in Sapa for your choice. Enjoy your dinner on your own cost and explore Sapa night market. After lunch, you head toward Muong Hoa valley. You will pass through Lao Chai village of Black Hmong minority and then Ta Van of Giay minority by following a very popular trekking route. You will return Sapa from Ta Van by car. Hiking and village visiting 5 to 6 hours. Approx.16km/ Grade 2 of 5. 8:00 Am After having breakfast at the hotel, you check out and being transferred to the checkpoint for enjoying a cable car ride to visit Fansipan Peak. Then heading back to Hanoi for a 6 hour driving on the highway and good roads. Arrive to Hanoi by later the afternoon. You check in to hotel and enjoy your free time in the evening. End of service or you can request Ultimate Odyssey to extend a post trip. May & Jun: the people fill up the water on the field, the surface of terraced fields shines like a mirror reflecting the contrast of the reddish brown of soil, the deep blue of the sky and the green of surrounding forests. September & October: (rice harvest’ season) to see the prosperity of all over the area as rice in all terraced fields is ripe, giving the gold colour, the mountainous landscape astonishingly beautiful.